Nature abhors a vacuum. Apparently history does too. Although the history of the health sciences at the University of Minnesota is ours to keep and preserve, we are not the only place to find our history. Our history is part of other histories such as Minnesota history and the history of science and medicine, and thus, is found in many different locations. A recent entry to Ben Welter’s regular feature “Yesterday’s News” on the Star Tribune web site reinforces the idea that our history is everywhere. 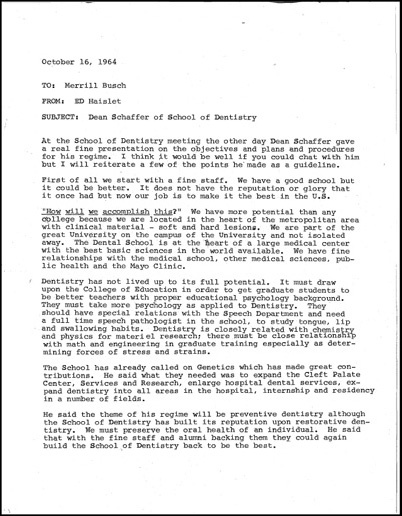 The column highlighted an article from October 10, 1945 interviewing the then new dean of the School of Dentistry, William Crawford. 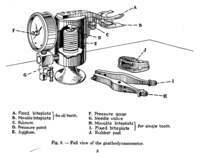 The article demonstrates the role of the dental school in a modern age and the research behind the introduction of fluorine as a tool in dental health. Welter accompanies the reprinted story with several photographs from the Minnesota Historical Society’s collections of the dental facilities. It is easy to understand the attention the University’s School of Dentistry received across the state and by the public in general. Such recognition was not a first for the School of Dentistry. 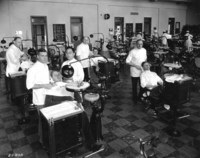 In 1923, the then College of Dentistry at the University received a straight A rating by the Dental Education Council of America. The Council noted “Certain institutions stand forth in the educational world because of their power to inspire students with the desire for knowledge and with the love of hard work… The University of Minnesota College of Dentistry is such an institution.” This is the dental equivalent to having no cavities. 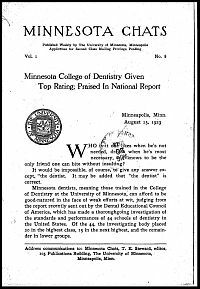 The August 15, 1923 issue of Minnesota Chats, a publication by the University, recites more of the Council’s praise and discusses the role of the College of Dentistry in relation to the state. Read the full pamphlet below. From time to time, when sorting though boxes and folders of personal papers and office records, certain things will jump out at you as being out of place or not part of the original intention of the creator. Often times this addition to a collection is an unwanted biological guest like bugs or spiders (sometimes living but mostly dead), mold or mildew (usually dormant but sometimes active), and once I even saw the skeletal remains of a mouse (definitely an unintentional addition). However, working with collections that focus on the health sciences, stumbling across a biological specimen is usually no accident at all. I’ve found random, unlabeled paraffin wax pathology samples as well as a wax cast of the inner ear (harvested post-mortem). 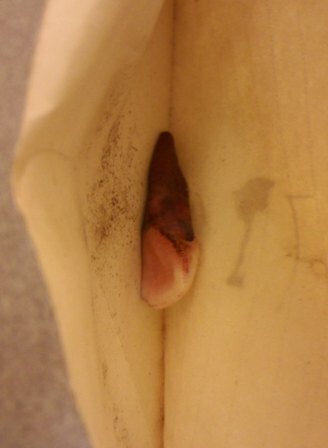 Today was a new anatomical sample in the archives. 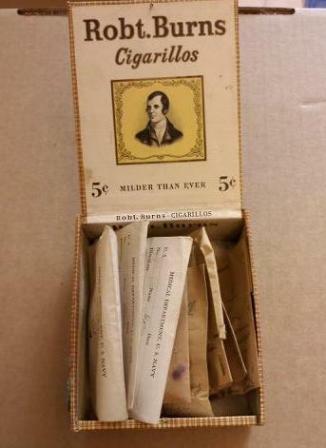 Inside this miniature cigar box were nearly two dozen envelopes containing extracted adult human teeth from the 1950s. Most had their full roots and represented all types of molars, bicuspids, and incisors. It was as if some contemptuous tooth fairy had stashed them away. In September 30, 1846 William Morton used ether to assist extracting a tooth from a patient in his dental office. Two weeks later he repeated the technique in front of an audience of his peers at Massachusetts General Hospital. The success of the ether demonstration ushered in a new era in surgical anesthesia. Over forty years later, the use of ether and nitrous oxide were prevalent in surgical operations but still poorly adopted by many for dental procedures. The 1889-1890 Catalogue for the newly created College of Dentistry listed instruction in the administration of ether and nitrous oxide as a part of the curriculum. According to Mellor Holland’s A History of the University of Minnesota School of Dentistry: 1888-1988, cocaine was the primary local anesthetic available at the time. The clinical instruction and opportunity to administer the gases to patients at the infirmary offered dental students an opportunity to learn practical skills that exceeded common practice. 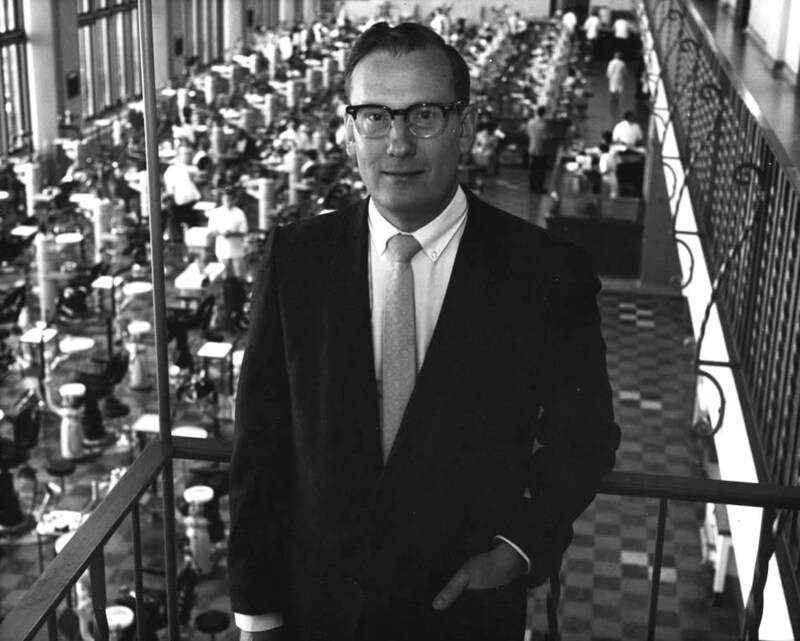 Dr. Erwin Schaffer, dean of the School for Dentistry from 1964 to 1977, passed away on December 25, 2007. Dean Schaffer’s tenure at the School of Dentistry served as the basis for the growth of the School and its many programs and research initiatives including geriatric dentistry and cleft palate prevention. Appointed in 1964 by then President O. Meredith Wilson, Dean Schaffer was a part of the reformation of the health sciences and long range planning for health education at the University. After chairing the Division of Periodontology for seven years, his leadership helped to transform the free-standing School of Dentistry into one of the six schools and colleges of the AHC focused on research and clinical education. 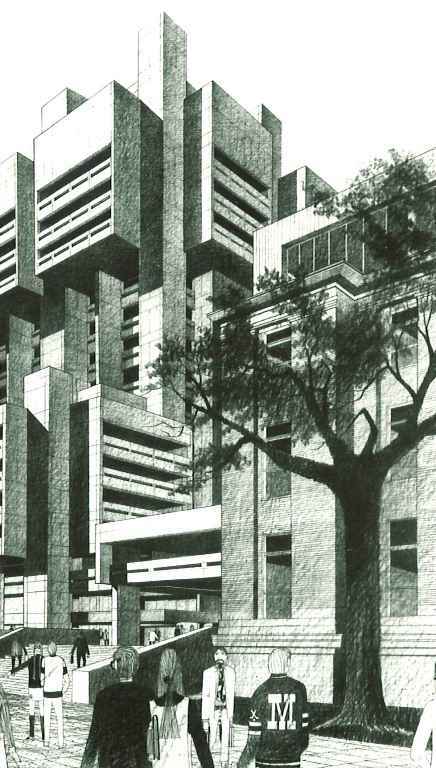 He also helped oversee the physical expansion of the School of Dentistry through planning and fundraising efforts for the construction of Unit A Health Science Tower (later renamed Moos Tower). 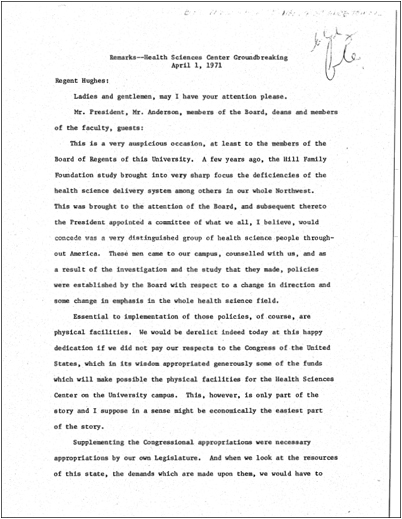 A memo written shortly after Dr. Schaffer’s appointment in October 1964 captures the enthusiasm many felt for the new dean’s plans. The memo highlights Dean Schaffer’s vision of preventive dentistry as the next building block to the School’s already established restorative program. Read the full memo below. What does your yearbook say about you? 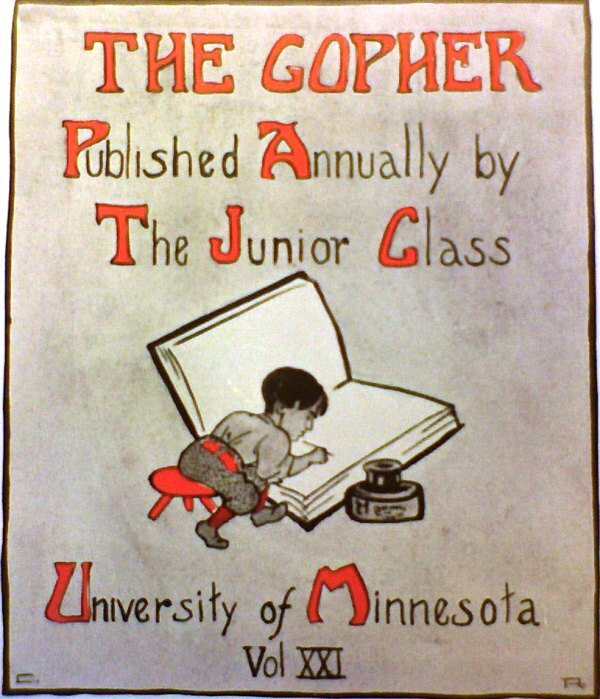 A former University of Minnesota yearbook The Gopher approached the sentimentality surrounding graduation and the passing on of traditions in a less than serious manner. For example, below are a few selections describing students in the School of Dentistry from 1908. The College of Pharmacy students graduating that same year did not fare much better. Dretchko, A. L. So little is known concerning him that perhaps the less said about him the better. Earl, Fred, W. Fred cares about as much for Botany as bacteria for a dead clam. Erchenbrack, Earl S. His September modesty is now a thing of the past. Why, he even learned how to smoke! Similar remarks (and more) are available on today’s students’ Facebook or MySpace pages. The difference is today’s employers are more likely to stumble across the comments via Google. Last week a small but valuable collection came into the project; the papers of the late Dr. Robert J. Gorlin. Dr. Gorlin, who passed away last summer at the age of 83, was a larger than life presence at the University of Minnesota for over fifty years. 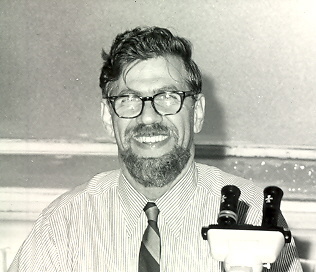 Dr. Gorlin was a Regents’ Professor in the School of Dentistry but also held numerous joint appointments in the Medical School. An international expert in oral and maxillofacial pathology, Dr. Gorlin identified more than 100 syndromes related to genetic causes and published over 600 articles and text books including Syndromes of the Head and Neck, the authoritative work in the field. The collection is a half linear foot and consists primarily of correspondence, research notes, drafts of publications, and photographs. There are also several recordings of recent lectures Dr. Gorlin gave. The materials come from the Gorlin family. Unfortunately, most of Dr. Gorlin’s office files were lost after his passing due to the space constraints faced by the department.